Subscribe to a weekly e-mail news digest. 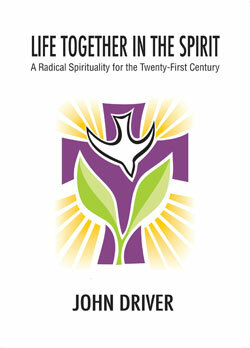 "Life Together in the Spirit: A Radical Spirituality for the Twenty-First Century" by John Driver. Copies of the book are still available and can be requested by contacting John D. Roth at johndr@goshen.edu or by calling 574-535-7433. GOSHEN, Ind. – Goshen College's new Institute for the Study of Global Anabaptism published its first book in July, an English-language translation of John Driver's "Life Together in the Spirit: A Radical Spirituality for the Twenty-First Century." The project was sponsored by Greencroft Communities, who helped make the book available for free in Spanish and English to every pastor in Mennonite Church USA. The Institute for the Study of Global Anabaptism was created in the spring of 2011 in an effort to help North American Christians become better informed about the rapidly-growing Anabaptist movement around the world, which is transforming the character and future of the 500-year-old tradition. Today there are some 1.7 million Anabaptist-Mennonites in the world, representing 227 groups in 83 countries. The institute has a number of projects aiming to deepen understandings of the global Anabaptist community, and one of them is a small book publishing initiative. According to Professor of History John D. Roth, who also serves as director of the institute, publishing efforts will focus on translations of theological and historical works emerging out of Anabaptist-Mennonite contexts in the global south. "We tend to assume that theological knowledge is generated in seminaries here, and then we think the primary challenge is how to share our knowledge with the rest of the world," said Roth. This initiative seeks to do the opposite as it looks to help Mennonites here become more aware of the creative work being produced outside of North America. 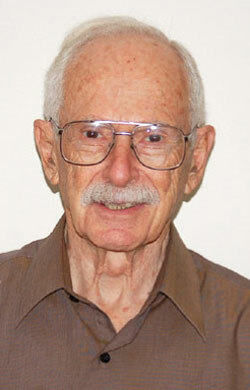 John Driver, who currently lives at Greencroft in Goshen, spent more than 50 years living in Spanish-speaking settings and working as a missionary, theologian, teacher and pastor. "No other individual," said Roth, "is a more widely recognized or respected voice for Anabaptist-Mennonite thought in Central or South America." Many new Christians in Spanish-speaking countries are part of the Pentecostal tradition, which places a strong emphasis on the active presence of the Holy Spirit. Driver's book, "Life Together in the Spirit," provides an Anabaptist perspective on the Holy Spirit that Roth believes will be read with appreciation by Mennonite pastors in North America. The English publication of Driver's "Life Together in the Spirit" debuted in early July at the Mennonite Church USA convention in Pittsburgh. Recently, English and Spanish translations of the book were sent to every pastor in Mennonite Church USA. That effort was made possible at the suggestion of Mark King, CEO of Greencroft Goshen, who provided funding for the project in an effort to recognize the talents and gifts of Greencroft residents. "This book, and the larger work of the Institute, can remind us that the cultural expression that Anabaptism has taken here in North America is not the only way," said Roth. Goshen College, established in 1894, is a residential Christian liberal arts college rooted in the Anabaptist-Mennonite tradition. The college's Christ-centered core values – passionate learning, global citizenship, compassionate peacemaking and servant-leadership – prepare students as leaders for the church and world. Recognized for its unique Study-Service Term program, Goshen has earned citations of excellence in Barron's Best Buys in Education, "Colleges of Distinction," "Making a Difference College Guide" and U.S. News & World Report's "America's Best Colleges" edition, which named Goshen a "least debt college." Visit www.goshen.edu.